Home > Uncategorized	> Personal Branding: 10 Focus Points define it. 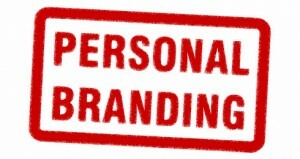 In my practice, I’ve been incorporating what’s now called personal branding in my clients’ career marketing communications for many years. It’s always been my mission to differentiate them from their competition in the job market, breathe life into otherwise flat career marketing materials, and position them for job search acceleration. 1. What are your vision and purpose? Before clearly defining your brand, look externally at the bigger picture of your vision for the world, and then internally, at how you might help the world realize your vision. 2. What are your values and passions? You have to know yourself and what you want and need before you can move forward. Your belief system and operating principles are at the core of determining whether an opportunity in front of you will be a good fit for you. If the passions that drive you aren’t met, you probably won’t be happy. 3. What are your top goals for the next year, 2 years, and 5 years? Work on projecting what you intend to accomplish so you can put together a strategic action plan to get there. 4. Do a self-assessment of your top brand attributes. Collaborative, resilient, forward-focused, risk-taking, connected, international, visionary, diplomatic, intuitive, precise, enterprising, ethical, genuine, accessible. 5. What are your core strengths or motivated skills? Identifying problems, seeing the details, leading, delegating, performing analysis, fact finding, crunching numbers, anticipating risk, motivating, mentoring, innovating, managing conflict, writing, listening, communicating. 6. Get feedback from those who know you best – at work, at home, anywhere. The true measure of your brand is the reputation others hold of you in their hearts and minds. Notice how they introduce you to others. 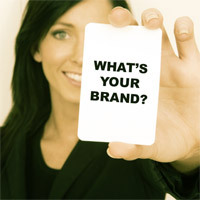 Ask them what your top brand attributes and core strengths are. How does your self-assessment jibe with their feedback? 7. Do a SWOT (Strengths – Weaknesses – Opportunities – Threats) analysis on yourself. Don’t dwell on your weak points, but keep them in mind so that you don’t move into a position where that function is the main trust of the job. 8. Who is your target audience? Determine where you want to fit in (industry and niche area of expertise). Learn what decision makers in that field are looking for when they’re vetting candidates. Find out where those decision makers hang out and what key words will attract them, and then position yourself in front of them to capture their attention. 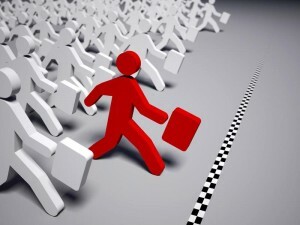 9. Who is your competition in the marketplace and what differentiates you from them? Determine why decision makers should choose whatever you’re offering over the others offering similar value. What makes you the best choice? What makes you a good investment? What value will you bring that no one else will? Clarity – be clear about who you are and who you are not. Consistency – steadfastly express your brand across all communications vehicles. Constancy – strong brands are always visible to their target audience. The work involved in uncovering your brand may seem daunting, but your efforts can benefit you immeasurably. My own brand development helped me re-focus the way I do business toward the kinds of work I’m most passionate about, and more deeply niche my target audience.